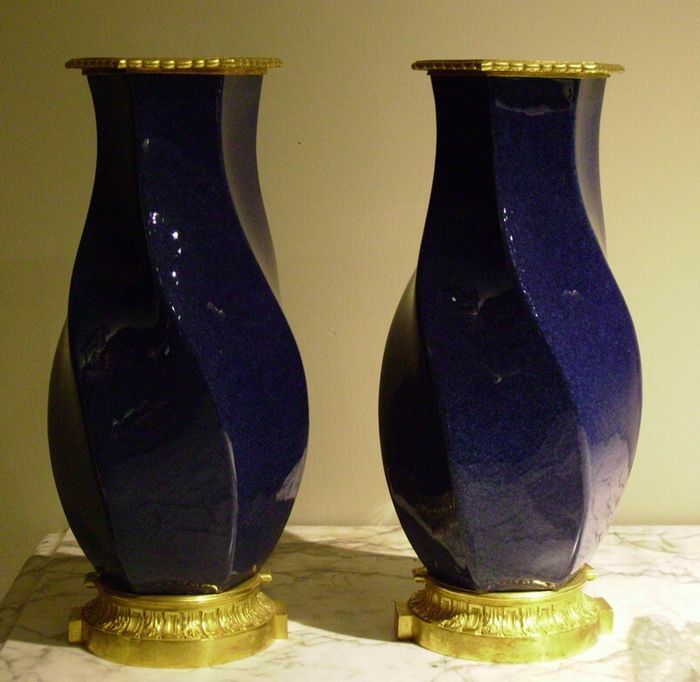 Very unusual pair of 19th Century, strigil shaped, cobalt blue, porcelain vases, with exceptional ormolu mounts, in the Louis XVI style, stamped A.B. (Alfred Beurdeley 1808-1882) who specialized in mounts for vases, in the 18th Century style. Paris Circa 1850.